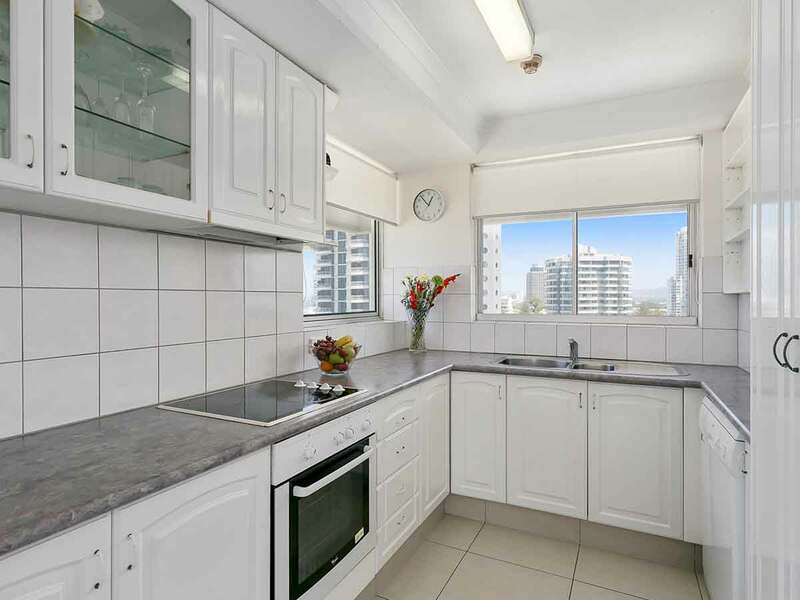 Only a short walk from world famous Surfers Paradise Beach, the 2 Bedroom Apartment is perfect for your next Gold Coast holiday! With easy access to the shopping and sites at Cavil Mall, staying here you’ll never be bored! Take a selfie with a koala, feed the kangaroos, or check out the crocs at feeding time. Currumbin Wildlife Sanctuary has something for everyone, so the whole family can enjoy the unforgettable experience! After stepping off the plane, nothing makes you feel quite so welcome as a bottle of wine and chocolates! So snap, sip and slip into the holiday spirit from the moment you arrive at the hotel with a glass (or three!) on us! Make a splash when you visit Surfers Paradise this holiday! Take a dip in the water and enjoy your holiday, and when you’re all swam out we’ve got you covered with beach towel hire. Join the fun and enjoy complimentary usage of the resort’s tennis court and racquets! You can practice your swing first thing in the morning and serve into the night! Enjoy a meal and save when you stay with us this holiday! Head over to the Northcliffe Surf Life Saving Club and save with 4x 25% discount vouchers. 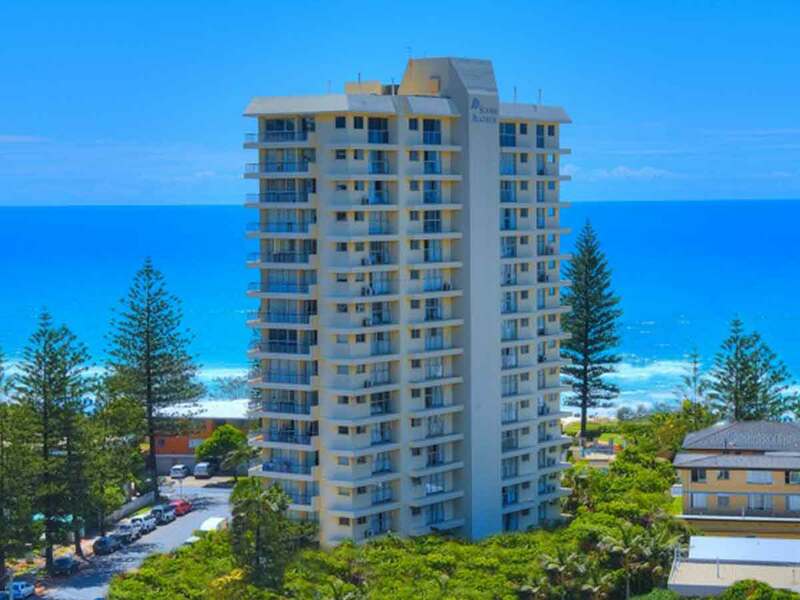 Rest assured there will always be a place for your car at the Surfers Beachside Holiday Apartments! You can park your car in the hotels secure car park each day, free of charge! Make the most of your stunning surroundings by checking-in to a 2 Bedroom Apartment. 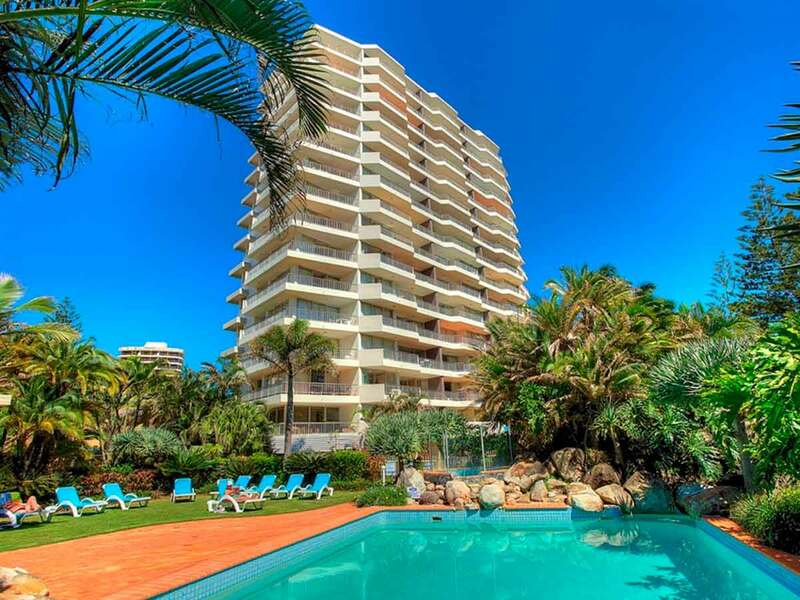 Offering incredible ocean views and a large furnished balcony to take it all in, these apartments will have you living high and loving life in next to no time! 2 Bedroom Apartments boast 1 Queen bed in the master bedroom and 2 Single beds in the second bedroom. They can accommodate up to 5 guests. Keep cool with air-conditioning, sink into the plush lounge suite to watch Austar cable TV and movies, make the most of the fully-equipped kitchen and laundry and more! Set yourself up to 15 stories high to survey the beautiful Gold Coast! 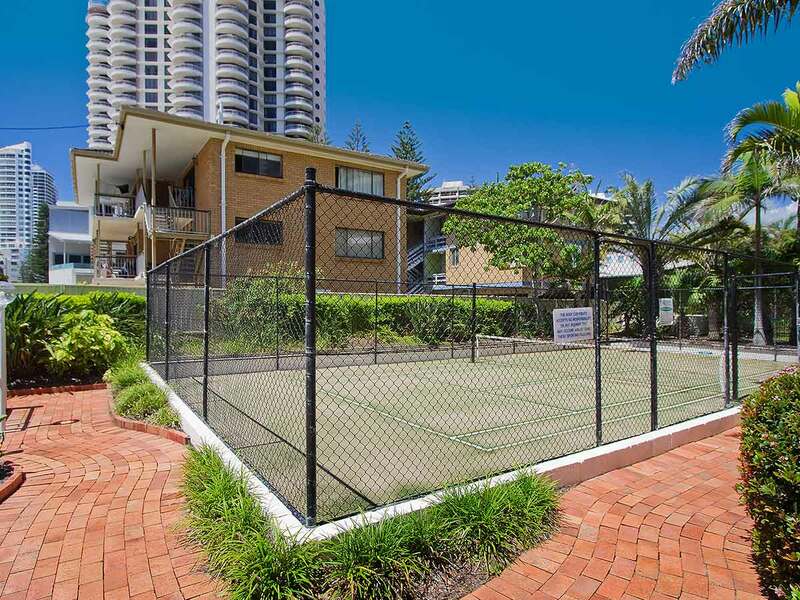 Surfers Beachside Holiday Apartments are conveniently located close to everything. 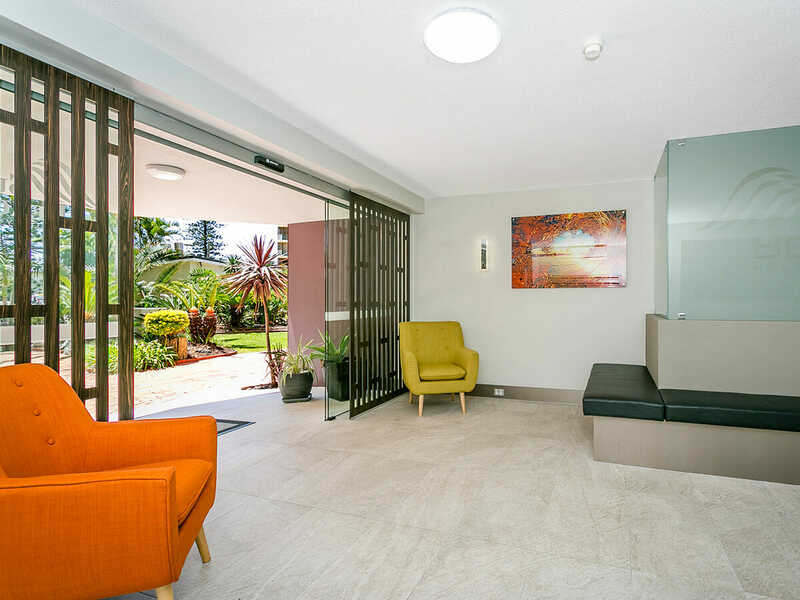 They offer incredible views of the ocean and the Gold Coast hinterland plus there is a glorious, golden patrolled beach just 30-metres away. Whether you want to shop in surrounding boutiques; enjoy a coffee on the 78th floor of the Tallest Residential Building in the world; get your heart pumping at local attractions like SeaWorld, Movie World, Wet’n’Wild and more; or bask in the incredible sunshine as you enjoy the beach, you can do it all from this fantastic base! Think space, comfort, views and facilities—the perfect way to experience the thriving Surfers Paradise hub! 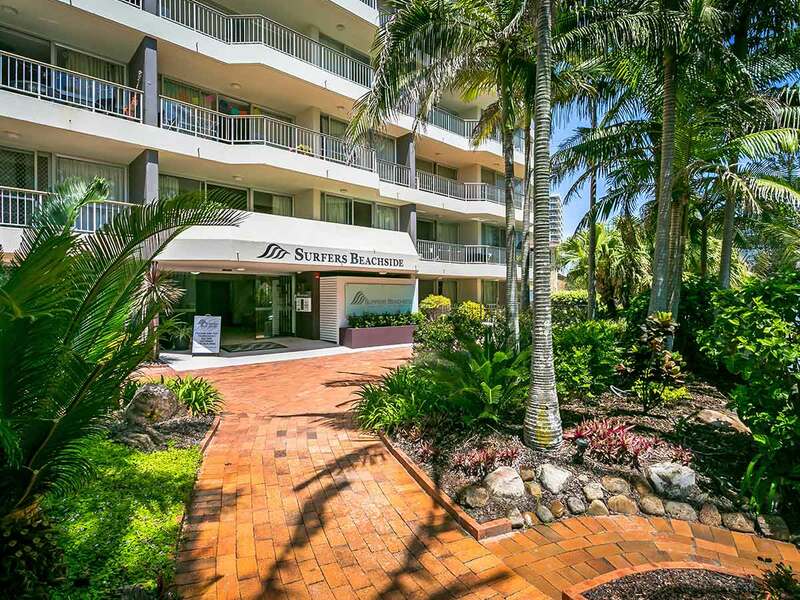 Surfers Beachside Holiday Apartments are individually furnished and designed to ensure you have the most calm and relaxing Gold Coast stay. With floor-to-ceiling windows and a large balcony set off the common living spaces, each apartment is open, breezy and offers incredible views. The apartments are self-contained, making them ideal for a longer stay. Prepare meals in the fully-equipped kitchen, complete with dishwasher and microwave, watch Austar cable TV and movies and keep cool in the air-conditioning as you sink into the plush living room couch. When you holiday here, there’s no need to pack your whole wardrobe to last the trip—the apartments come with laundry facilities, including a washing machine, dryer and iron, so you can always look and feel fresh! 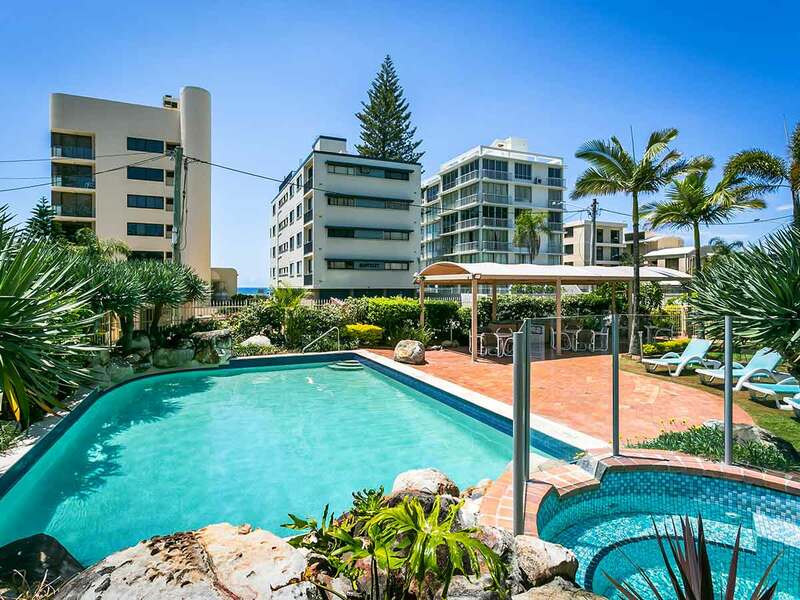 The staff at Surfers Beachside Holiday Apartments are friendly, welcoming and ready to look after your every need. Arrange tours and ask them about must-do sights to see or wander less than 1km to get into the heart of Surfers Paradise on your own! If you’re just looking to relax and unwind, you can do that here too. Play tennis on the outdoor court, make a splash in the pool, bubble all your stress away in the spa tub or make use of the sauna. Wi-Fi is available throughout the building and there is a BBQ area and large garden space to enjoy. 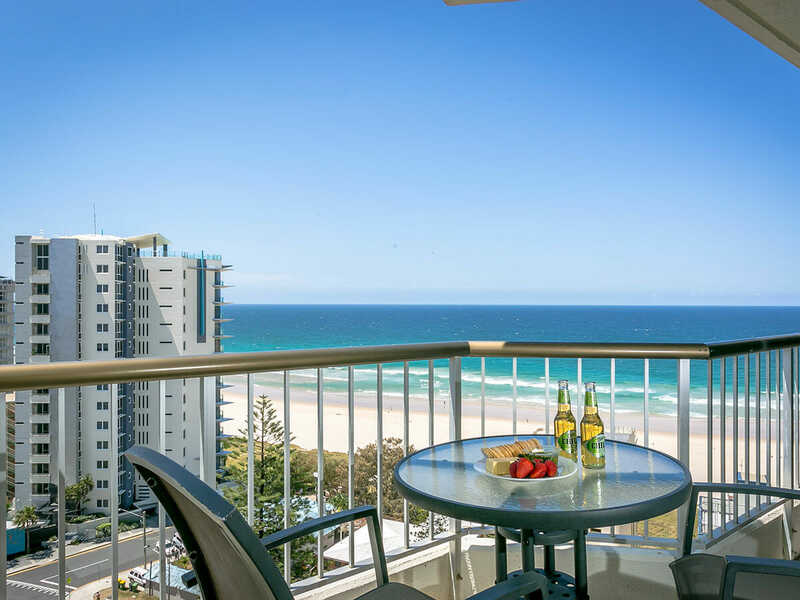 Whether you’re on a long or short stay, Surfers Beachside Holiday Apartments are equipped to show you just how to have the best time and soak up all the fun and excitement of the Gold Coast! *From price. All prices are in Australian Dollars and are based on per person family share occupancy unless stated otherwise. Please note, this package does not include flights.